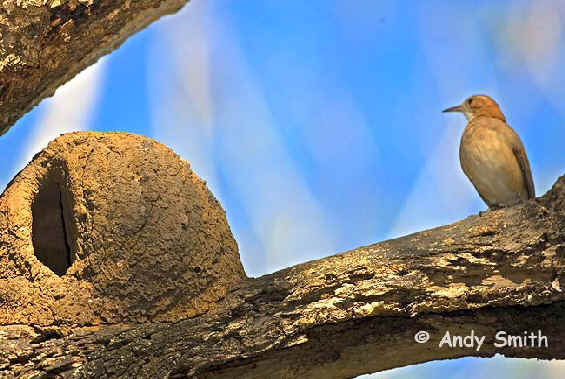 Photo at upper right: A Rufous Hornero (or Ovenbird) by its nest. Of the 30 or so Furnariids that occur in Rio Grande do Sul, the Rufous Hornero is the most common. Sometimes telephone poles can be seen with 4 or 5 nests on them. 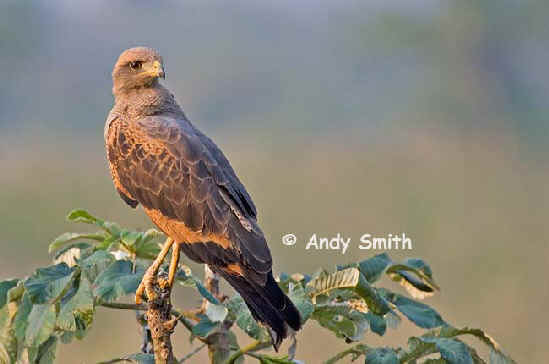 Photo below: a Savanna Hawk, one of the raptors of southern Brazil. Both of these photos were taken during FONT tours in Brazil in 2006.